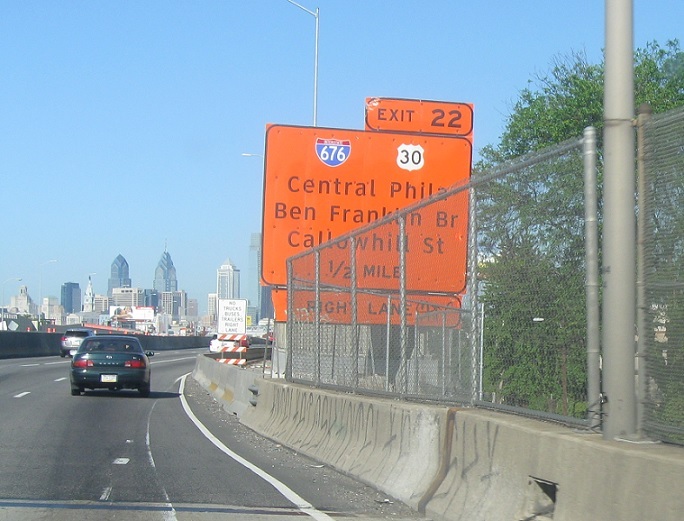 Reassurance shield after the Betsy Ross Bridge exit. 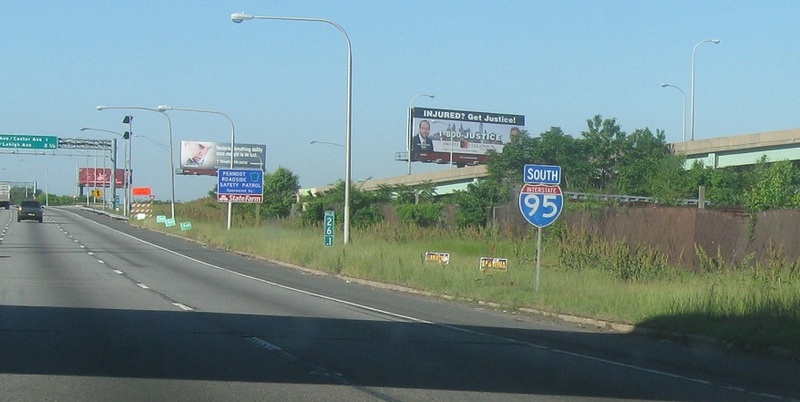 Reassurance shield with missing shield after the Alleghany Ave interchange. 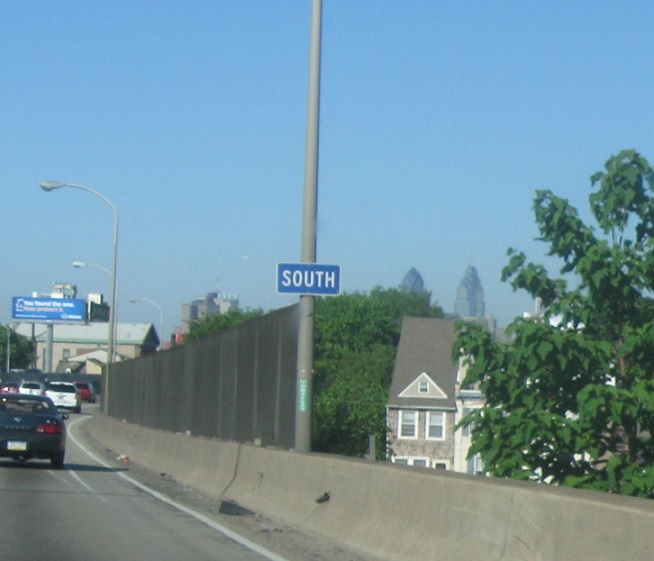 As we enter downtown Philly we’ll approach I-676 and US-30. The interchange was under construction when I drove through here in May 2015. 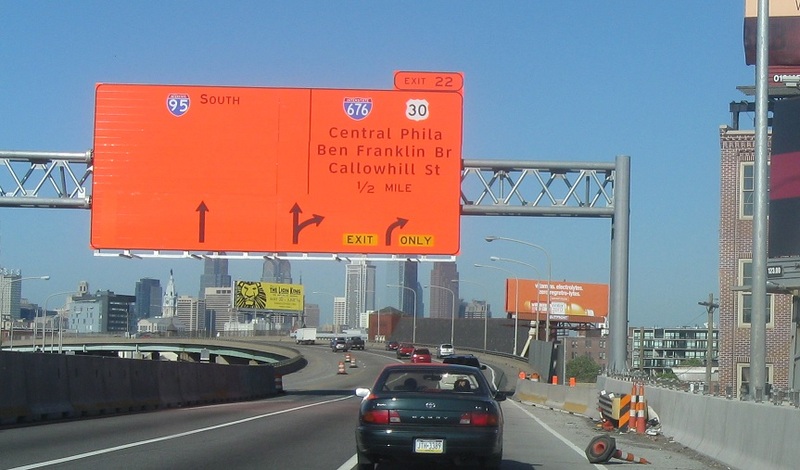 Exit for US 30, which runs concurrent with I-676. 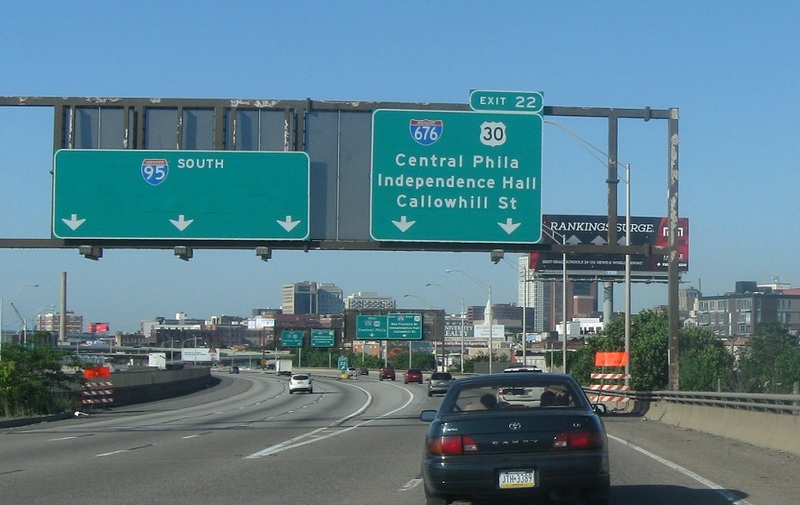 I-676 west is the best route into downtown Philly.